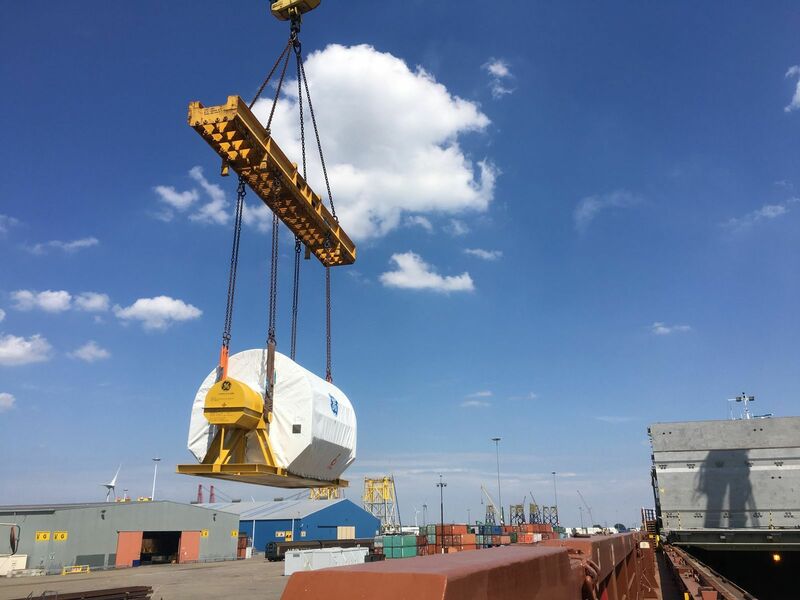 On behalf of GE Power, BigLift Shipping carried out four voyages transporting power plant equipment for the Porto de Sergipe I power plant in Barra dos Coqueiros, Brazil. Minervagracht, a multipurpose vessel from the fleet of BigLift’s sister company Spliethoff, was the first to be lined up for the project. 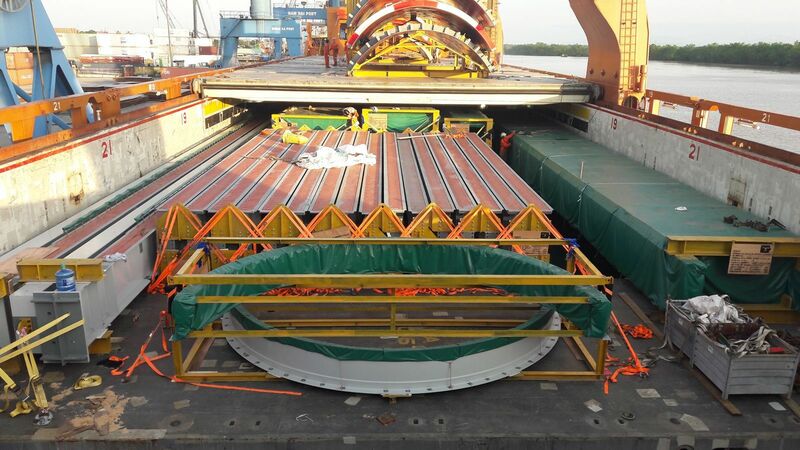 She loaded fabricated steel in the port of Haiphong Doan Xa, Vietnam in October 2017 and discharged all of the cargo in Maceio, Brazil, from where it was taken over land to the final destination. The next vessel, BigLift’s Happy River, moved a full ship with a variety of power plant equipment, including a 296 mt stator, from Gdynia, Poland and Flushing, The Netherlands to Barra dos Coqueiros. 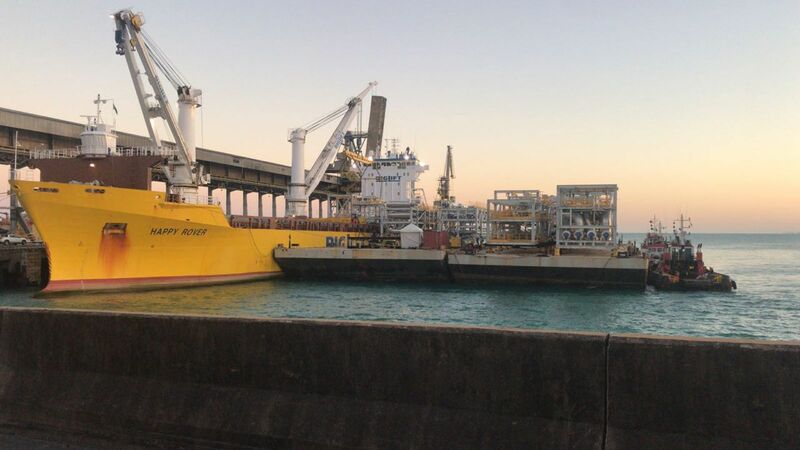 The remainder of the cargo, some 43,000 cubic metres of heat recovery steam generator (HRSG) modules and general cargo was taken on board by Happy Rover and Happy Dover in Yanda, China. The HRSG modules provide the thermodynamic link between the gas turbines and steam turbines in a combined-cycle power plant. Although the modules were not very heavy – in this shipment the heaviest weighed 318 mt – the cargo was fragile and required special handling in terms of lifting and lashing. One of the challenging aspects in this shipment was the discharge location in Barra dos Coqueiros as the port was built for the export of bulk, so it is too small to handle large pieces like these. However, this challenge was overcome by discharging the modules onto barges, which were then towed to a quay inland. The Porto de Sergipe I power plant is a 1.5 GW, natural gas-fired power plant under development in Barra dos Coqueiros, Brazil. Upon completion in January 2020, it will be the biggest gas-fired power plant in the region. The project includes the construction of an integrated, floating storage and regasification unit (FSRU) for natural gas, along with the associated gas pipeline and mooring infrastructure. It also comprises a dedicated, 33 km long, 500 kV high-voltage transmission line. The project meets growing regional energy demand and supports Brazil’s strategy to complement its hydro-based energy system with thermal power, creating a more reliable energy supply during the dry seasons. BigLift’s client GE is the turnkey contractor constructing the power plant which will use three GE 7HA gas turbines, as well as a steam turbine, heat recovery steam generator and transmission technology. GE will also provide operations, maintenance, repairs and digital solutions.